I always love the beautiful combination of black and white for a wedding. Add gentle accents of muted blue and you've got a classic and timeless look for the big day! the Vanity Fair photoshoot is awesome! That is one elegant and uncommon color combo. Perfection! Black and white is always so elegant. The "muted" blue not only creates a classic look but softens the boldness in the black/white contrast. The crystal chandelier is my favorite and is just another intricate piece to match the design around the wall. Wow such an elegant look. 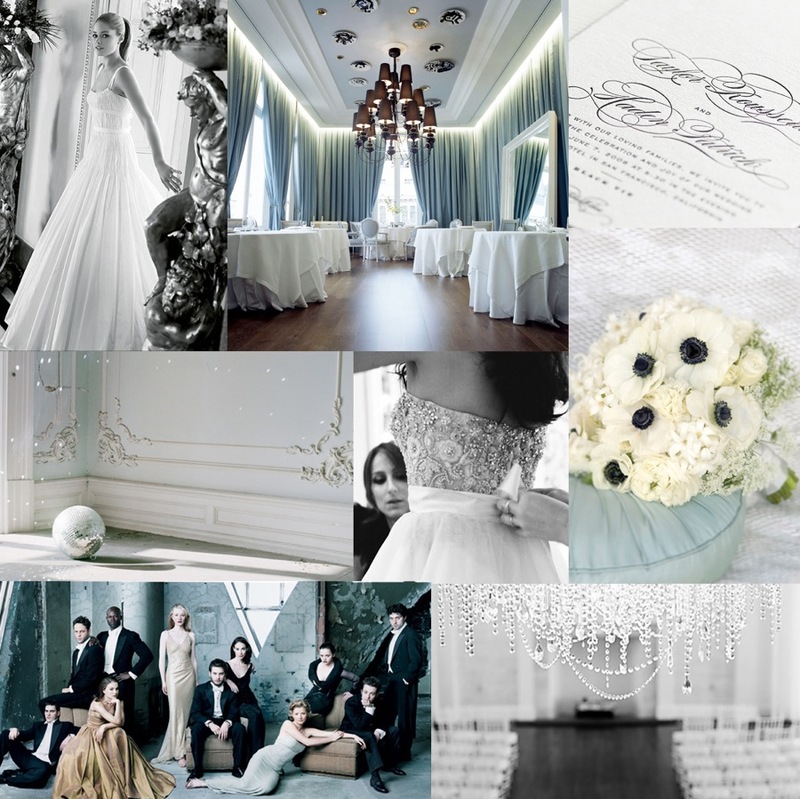 cool and sophisticated... it's almost monochrome, but softened so it looks romantic as well as elegant. LOVE! Beautiful! This is sheer stunning.